new wave – Feed The Ears!! 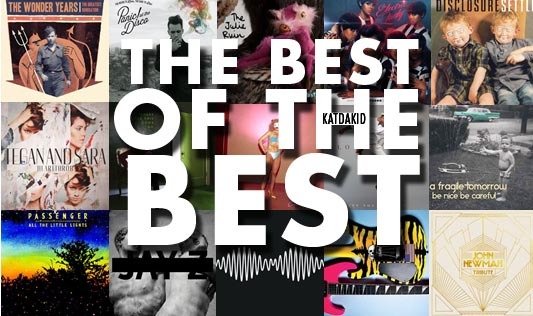 You Asked For It: Another Top Album List for 2013. 30 of Them. Well fellow earbudders, here is another end of the year list from me. This was particularly hard because I listen to a lot of different kinds of music and this year was just filled with great stuff – a lot of solid pieces of work from big name artists, and indie artists. It’s HARD to pick just 30. But here they are. I’ll keep them short and sweet. Nothing more annoying than long diatribes about one album in particular. I’m not a writer, but I know what I like. For those who read my blog or listen to my podcast, some of these names shouldn’t really be a surprise. And there are a few that are I imagine. So read up, take note, and listen at will. I’m sure some won’t agree with me, but oh well. This is what I loved this year. 30. 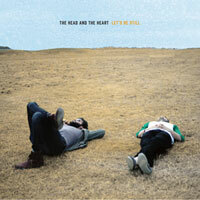 The Head and the Heart – Let’s Be Still: There isn’t nothing new to this one. It’s still just as solid as their previous effort. Very chilled, very relaxed. I just took it for what it is, which was excellent. 29. Sleigh Bells – Bitter Rivals: They’re still loud. They’re still angry. They still want to put you in a “blow things up when you’re angry” mood. 28. 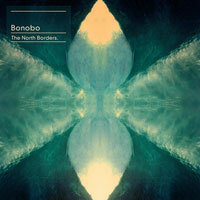 Bonobo – North Borders: Each song makes you feel waves of emotions ranging from relaxed to excitement. Love it when an album can make your mood change at the drop of a hat at various times while listening. 27. 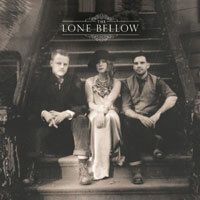 The Lone Bellow – The Lone Below: I’m such a sucker for 3 part harmonies. And acoustic guitars. And songs that are heartfelt. It’s really a beautiful record. 26. 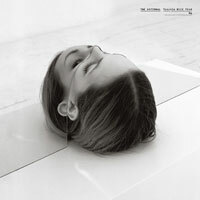 The National – Trouble Will Find Me: It’s The National. That’s why. 25. 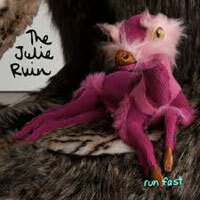 The Julie Ruin: Riot grrrl returns. Truly a gem. Welcome back Kathleen! Garage rock at its finest. Makes you want to stand up and take the world on by storm. 24. 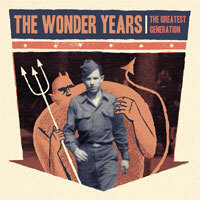 The Wonder Years – The Greatest Generation: Easy laid back melodies this time around, but still can hit you with the power punk sound we’re used to from them. 23. 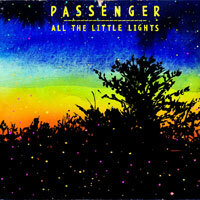 Passenger – All the Little Lights: Peaceful and delicate delivery. Quite the headphone record. 22. Panic! 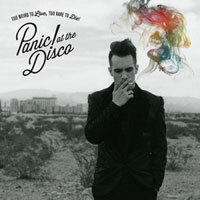 At The Disco – Too Weird to Live, Too Young to Die! : Enjoy this ride. They switched styles from alternative emo (if there is even a thing now) to dance new wave pop. The difference? The songs stick out in my head a LOT more than their other albums. 21. 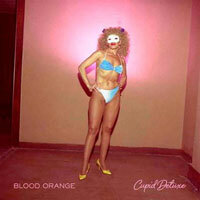 Blood Orange – Cupid Deluxe: Melancholy dance, however Dev Hynes has enough collaborations to make it sound rich, gorgeous, and wonderful. The beats are pretty amazing. 20. 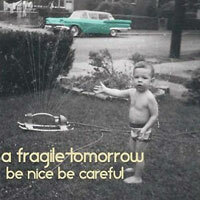 A Fragile Tomorrow – Be Nice, Be Careful: An extremely fun album with an 80s feel. If the Replacements had children with R.E.M. circa Murmur, these guys would be the offspring. Jangly guitars give me all sorts of feels. 19. 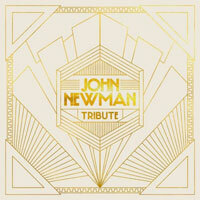 John Newman – Tribute: This album reminded me a lot of Mark Ronson & The International’s album a few years back. 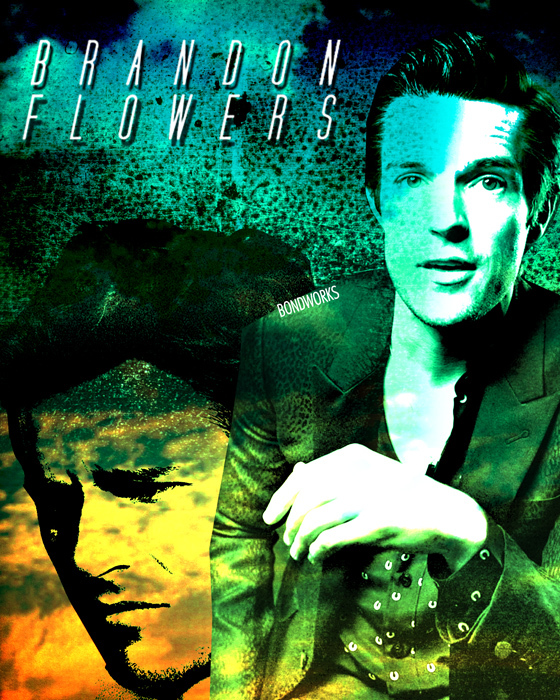 John has a very soulful voice that could easily be the male version of Amy Winehouse. Throw in some big band dance to back him up, it’s a winner. 18. 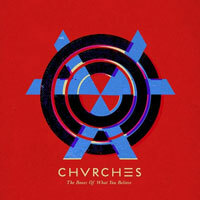 Chvrches – The Bones of What You Believe: New wavers rule. Definitely a throwback to 80s sound. 17. 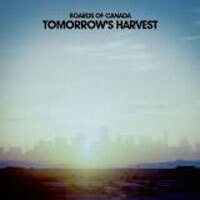 Boards of Canada – Tomorrow’s Harvest: They never let me down. 16. 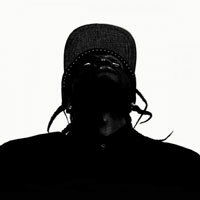 Pusha T – My name is My Name: Lyrically sick. On some other level of sickness. Highly underrated this year. 15. 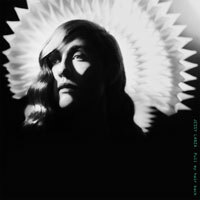 Jessy Lanza – Pull My Hair Back: One of the most overlooked albums of the year for electronic music. It’s not over the top. It’s not in your face. She pulls you in with her light vocals. 14. 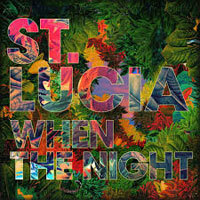 St. Lucia – When the Night: Party music. Party music. Party music. Invite your friends, have some drinks, and turn it up. 13. 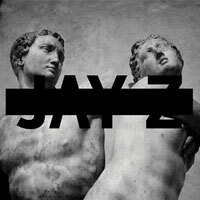 Jay Z – Magna Carter: The real King of NY returns (Sorry Kendrick. But you shouldn’t even try to compare yourself to this man) with an album full of rough beats, braggadocio attitude, and commentary on the state of America as only Jay-Z can do it. In other words, Jay-Z has it all. And we don’t. And we never will. And I’m ok with that. 12. 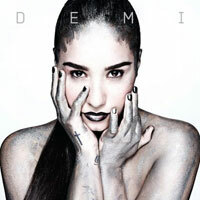 Demi Lovato – Demi: One of Disney’s former princesses hits my ears hard with dance pop goodness, and a few club hits. This album also showcases how great her vocal range is in one aspect, then reveals how she pulls back that range as she lets her emotions take over in her vocal delivery. Well done Demetria. Well done. 10. 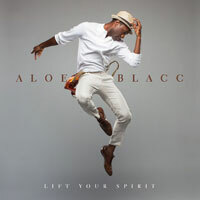 Aloe Blacc – Lift Your Spirit: Easily a no brainer on this list. He has the will, the heart, the vocal talent, and the emotion to make you feel like it’s going to be okay – whatever you’re going through – it’s going to be alright at some point. Just listen. 9. 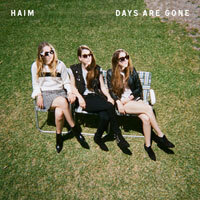 Haim – Days are Gone: Three sisters who released an album that could have easily been made in a 70s r&b era. They’ve done their homework. 8. 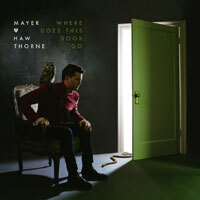 Mayer Hawthorne – Where does this Door Go? : One of the best in rhythm and blues this year. It’s a little more marketable this time, but he never completely abandoned what he’s known for – old school r&b. Smooth operator indeed. 7. 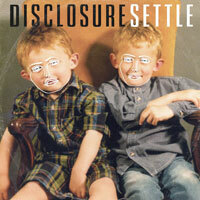 Disclosure – Settle: “When A Fire Starts to Burn” was the song that introduced us to them. But the whole album is a gem. Sam Smith kills vocally. It’s a dance fan’s dream come true. It never loses speed. It leaves you wanting more. I certainly do. 6. 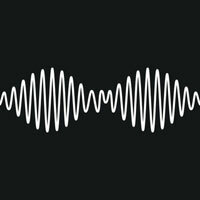 Arctic Monkeys – AM: How much do I love these guys? 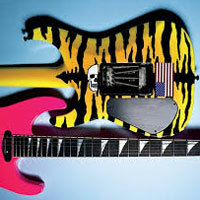 A rock band with a little bit of soul and guitars that sound so dirty you want to take a shower after listening. 5. 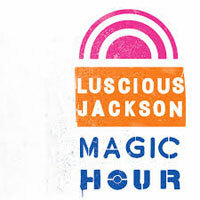 Luscious Jackson – Magic Hour: As stated in an earlier blog, this is the comeback band of the year. Dance, organs, with hip hop appeal is where they strive. Welcome back ladies. 4. 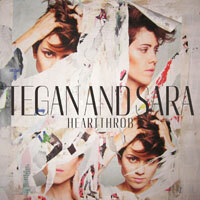 Tegan and Sara – Heartthrob: Quite the departure from their acoustic rock sound, they returned with an 80s throwback to dance and new wave. The lyrics were more straightforward but the self deprecation was still in full effect, just put to happier beats. Funny how that works. 3. 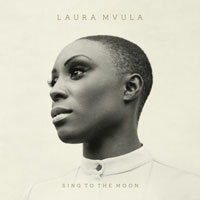 Laura Mvula – Sing to the Moon: Words cannot express how much I love this album and the harmonies. It would be easy to cast her off as a retro singer. But she’s more than that. She is heavy on the soul, singing about everything from divorce, to her image in the entertainment field, to the lack of feeling love, which personally touched my heart. It’s just such a great record. Please everyone give it a chance. You won’t be disappointed. 2. 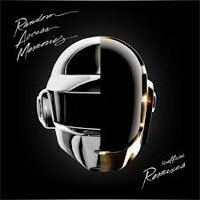 Daft Punk – Random Access Memories: I don’t even consider this an electronic album. It’s more dance and disco. It’s a throwback. It’s light, it’s airy, you can dance like no one is watching to it as much as you can listen to it in a car as much as you can listen in your living room. Or the kitchen. Great from beginning to end. 1. 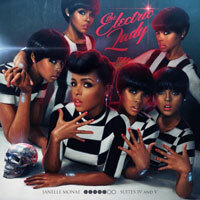 Janelle Monae – Electric Lady: This album is divided up into two halves for me. The first half is radio friendly – the jams that you can blow up and get crazy, and the second half is introspective and personal. 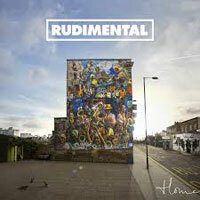 I won’t go on and on about this album. Just know that she gives you many sides of herself, along with ideas and imagery of how life should be with all of us in a world where people stick up for one another and aren’t judged by who they are, how they dress, and who they love. Crazy thought huh? I have a soft spot for singer/songwriter albums with minimum music. However, I also despise EPs. Frankly I wish all bands would save money and add to the money used for an EP and just release one full album. But I will make an exception in this case. 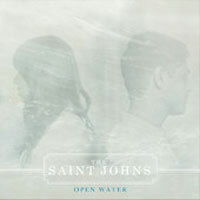 The Saint Johns EP, Open Water, is a beautiful yet small collection of songs that tug at the heart strings. As much as I don’t believe in love, I believe in them. And I believe they’re excellent. Please give them a chance. Oh Beyoncé. You magnificent creature. You record an album not too many knew about, then you released it on the fly, not alerting ANYONE. I mean, the nerve Mrs. Carter! But hey, you made a solid collection of tracks. You’re coming into your own. This is an r&b album, not a pop album, not a crossover album at all. If listeners are going to expect song friendly lyrics for all ages, think again. 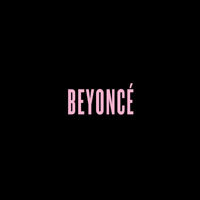 I admire you Mrs. Carter for bucking the trends and releasing songs that describe how you really are. Game. Set. Match. So that’s it for the year peeps. Stay tuned for my END OF THE YEAR PODCAST, the last one of the year. Tell your friends. Keep it right, keep it tight. God I wish I could go back in time and be 6 or 7 again..sighs.